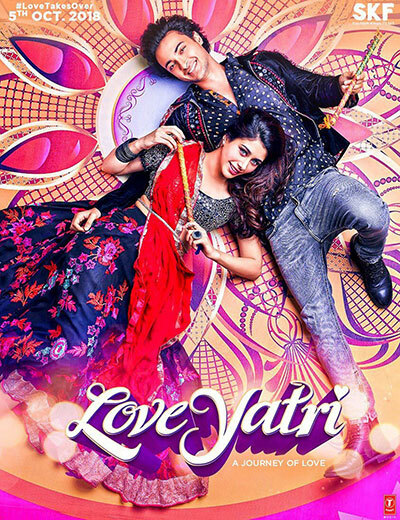 “LoveYatri” Starring Aayush Sharma, Warina Hussain, Anshuman Jha, Ram Kapoor, Ronit Roy, Prachi Shah; directed by Abhiraj Minawala; music by Tanishk Bagchi and Sanchit Balhara. Right on time for the festive season of Navratri, this Salman Khan production revolves around the 9 day celebrations and launches brother in law Aayush Sharma in the lead. It tells the story of Sushrut, a happy-go-lucky middle class garba teacher from Vadodara, and Michelle, played by newcomer Warina Hussain, a bright, career focused NRI visiting India. They meet and get to know each other during the colorful days of Navratri and, of course, there is garba and raas dancing. A misunderstanding halts the budding relationship and Michelle returns to the U.K. Sushrut, who has not traveled outside of Gujarat, makes the journey to win her back. Ram Kapoor and Ronit Roy play pivotal roles. This family entertainer celebrates culture and the garba songs are sure to be popular during Navratri celebrations. “Andhadhun” Starring Ayushmann Khurrana, Tabu, Radhika Apte, Anil Dhawan; directed by Sriram Raghavan; music by Amit Trivedi, Raftaar. If you enjoy thrillers or mysteries, the director of “Badlapur,” “Johnny Gaddaar” and “Ek Hasina Thi” delivers a new one. Ayushmann Khurrana plays a blind pianist who says there are both problems and benefits of not being able to see. Radhika Apte plays his love interest. The romance takes a turn after a series of events, including a murder. Talented Tabu, always a delight to watch, plays an intriguing character taking piano lessons and Anil Dhawan plays her wealthy husband. The makers have not revealed many plot details, as it should be for a mystery but anticipate several twists and turns. Already a singer and composer, Khurrana reportedly trained with a pianist for a few months, so the scenes of him playing would look right. He also sings one of the upbeat numbers. Given director Sriram Raghavan’s track record with this genre, expectations are high. 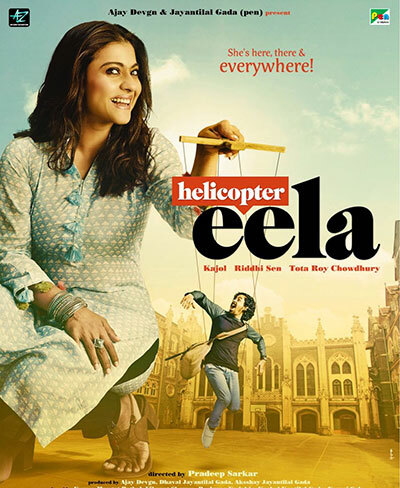 “Helicopter Ela” Starring Kajol, Riddhi Sen, Tota Roy Chowdhury, Neha Dhupia; directed by Pradeep Sarkar; music by Amit Trivedi. This slice of life drama is an adaptation of a Gujarati play by Anand Gandhi. Kajol stars as Eela, a single mother and aspiring singer who put her dreams on the back burner to raise her only son. National Award winning actor Riddhi Sen plays the son Vivan. Now that the little boy is grown up, naturally, he doesn't want his mother's life to revolve around him. Being the overprotective mother that she is, Eela has other ideas. She decides to enroll at her son's college to finish her education and spend more time with him. However, her plans backfire as Vivan feels his privacy is invaded. How will Eela save their relationship and find her calling? Neha Dhupia plays a pivotal role as Eela’s friend and Amitabh Bachchan makes a cameo appearance. From the director of “Parineeta” and “Mardaani,” Pradeep Sarkar, anticipate a poignant look at modern day parenting. This social drama from the director of “Toilet, Ek Prem Katha” revolves around the issue of electricity outages and over-billing in towns in India. After playing royalty in “Padmaavat,” Shahid Kapoor returns to the screen as S.K., a fun-loving guy from a small town in Uttarakhand. Initially, frequent power outages are a joke between his friends Tripathi, played by Divyendu Sharma, and Lalita, played by Shraddha Kapoor. But things take a serious turn after Tripathi, who has been grossly overcharged on his electricity bill, is unable to resolve the dispute with authorities. After being harassed and unable to pay, Tripathi dies. 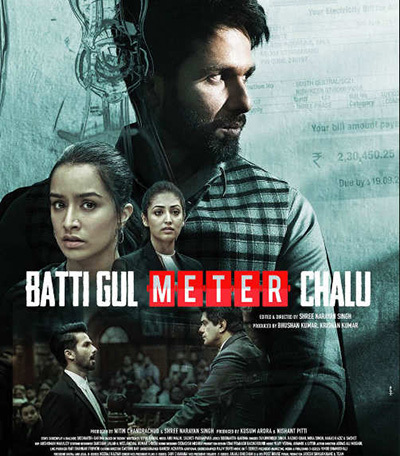 Afterward, Shahid Kapoor's character is transformed. He fights the case in court, where Yami Gautam is the opposing attorney. The popular soundtrack features the song ‘Dekhte Dekhte,’ sung by Atif Aslam, a modern take on Nusrat Fateh Ali Khan’s composition. “Sui Dhaaga” Starring Anushka Sharma, Varun Dhawan, Govind Pandey; directed by Sarat Katariya; music by Anu Malik. 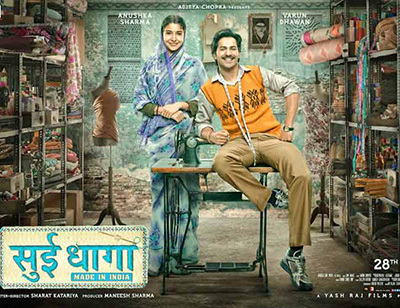 This heartwarming story of self-reliance is set in a small town in India and made by the team of “Dum Laga ke Haisha.” Paired together for the first time, the talented Anushka Sharma stars as Mamta and Varun Dhawan plays her husband Mauji, a tailor from a humble background. Mauji is a simple honest man happily willing to do any menial work to make ends meet. Mamta has a talent for embroidery, with her quiet strength she inspires Mauji to pursue a dream. Their sacrifices and struggles form the journey, as they work diligently to overcome obstacles to find success and respect. Promoting the ‘Make in India’ movement, entrepreneurship is shown as a means for economic advancement for struggling artisans. This family entertainer tries to bring focus on traditional art forms and handicrafts. Reportedly, both Dhawan and Sharma learned sewing skills to prepare for their roles. “Fanney Khan” Starring Anil Kapoor, Aishwarya Rai Bachchan, Rajkummar Rao, Divya Dutta, Pihu Sand; directed by Atul Manjrekar; music by Amit Trivedi. This musical comedy adapted from a Dutch film tells the story of a talented middle class family man, who in his younger years, had singer songwriter dreams. Anil Kapoor stars as a father whose musical aspirations are now set on his teenage daughter Lata, who sings. He is ready to go to great lengths, taking her to contests where Lata, played by Pihu Sand, awkwardly struggles. The talented Divya Dutta plays Kapoor’s wife. One day, he meets star pop sensation Baby Singh, played by Aishwarya Rai Bachchan. The story takes a comical turn when he decides to kidnap Baby, with the ransom demand that his daughter gets to perform on national television. Aiding him in this mission is friend Adhir, portrayed by Rajkummar Rao. But the kidnapping goes awry when Baby Singh manages to escape and Adhir falls in love with her. The makers say it’s a hilarious heartwarming display of how far a father would go to make his daughter’s dream come true. Apparently, Fanney Khan is an expression used to describe someone who thinks they are talented or accomplished but others may not agree. The lively soundtrack is sure to be a chart topper. 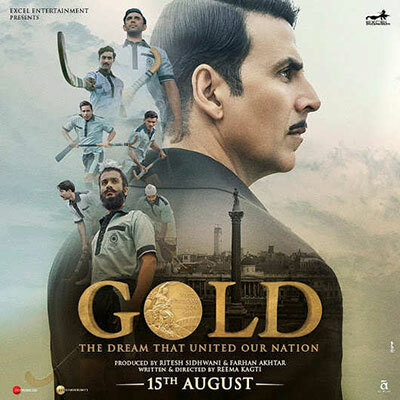 “Gold” Starring Akshay Kumar, Mouni Roy, Kunal Kapoor, Amit Sadh, Vineet Singh, Sunny Kaushal, Nikita Dutta; directed by Reema Kagti; music by Sachin-Jigar. Akshay Kumar has delivered several blockbusters in recent years, including “Airlift,” “Rustom” and “Padman,” this Independence Day release should add to that list. Inspired by the hockey team that won the first gold medal for independent India at the London Olympics in 1948, this sports drama is a fictional account that traces the “golden era” of Indian hockey. We follow the journey of Tapan Das, played by Akshay Kumar, a young assistant team manager who dreams of playing for an independent nation. Popular television actress Mouni Roy makes her Hindi film debut as Monobina, Tapan’s wife. The ensemble cast includes Kunal Kapoor as team coach Samrat, and Vineet Singh, Sunny Kaushal and Amit Sadh as key team players. Reports say Kumar worked with a tutor to achieve the correct Bengali mannerisms. 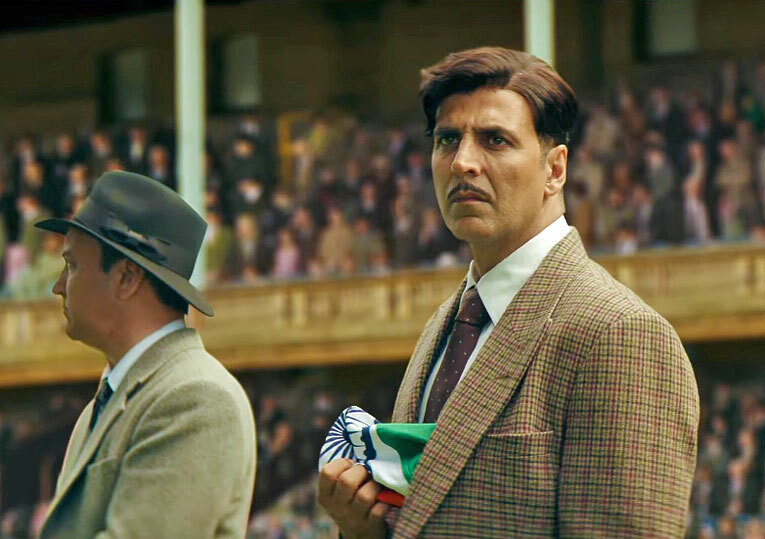 An inspirational story about a team’s struggles against adversity to bring respect and pride to the country, “Gold” seems like perfect viewing for India’s Independence Day.